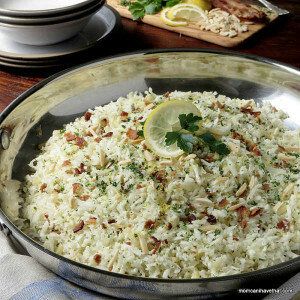 A nice change to to plain cauliflower rice, broccoli cauliflower rice has won me over with its great color and flavor. Happy Wednesday. The weekend is almost here and my parents will be here next week! Eeek! Can you believe that June is almost over??? Crazy! Last week, I confessed a deep dark secret. It’s a secret so terrible, I asked that the information not be passed on to my mom. Is this sounding familiar? No? Okay, here goes… I don’t enjoy making sides to accompany my main meals. I know. I know. As a mom, it’s my job to ensure that my kids are exposed to a variety of healthy foods, including vegetables. 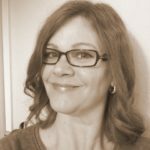 It is my job as a mom to sneak vegetables into food or even disguise it as a treat (zucchini bread comes to mind) if need be, to make certain that my kids get the recommended daily intake (RDI) of vitamins, minerals, and fiber in their diet. It is also my job as a mom to be permissive enough to allow the use of ketchup, dip, cheese or any other sauce on those vegetables (within reason), with the intention to make said vegetables more palatable to the kiddos. I used to make more vegetable side dishes before we eliminated dairy from my daughter’s diet. Since we have reintroduced it, I hope to be re-inspired and see a bigger variety at table in the evening. This recipe is actually a cheat I used to get my daughter and husband to eat more veggies. I’d cook rice, chop up some broccoli and mix the two together. It tastes almost as good with cauliflower rice. But we all know that cauliflower is not rice, so I add a few more ingredients to this all veggie version. Feel free to add to or leave out what you want to make it your own. 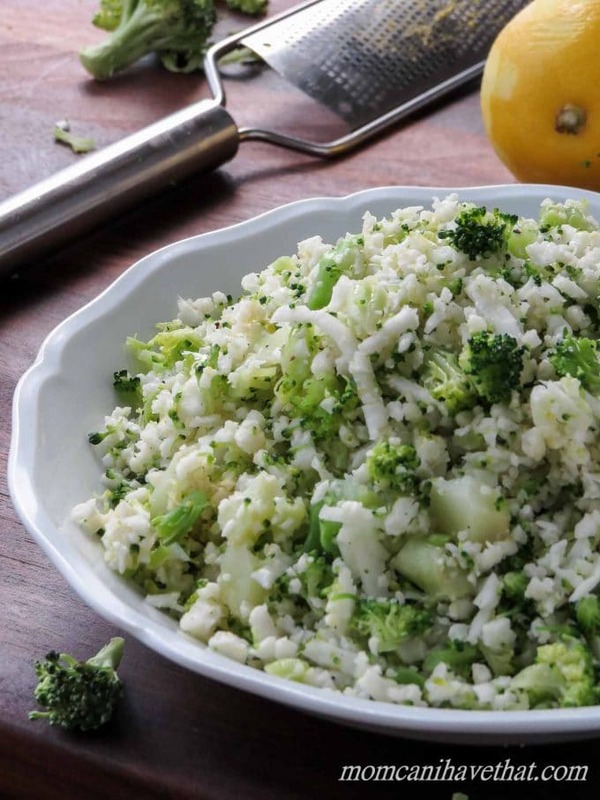 Broccoli Cauliflower “Rice” is an easy side. 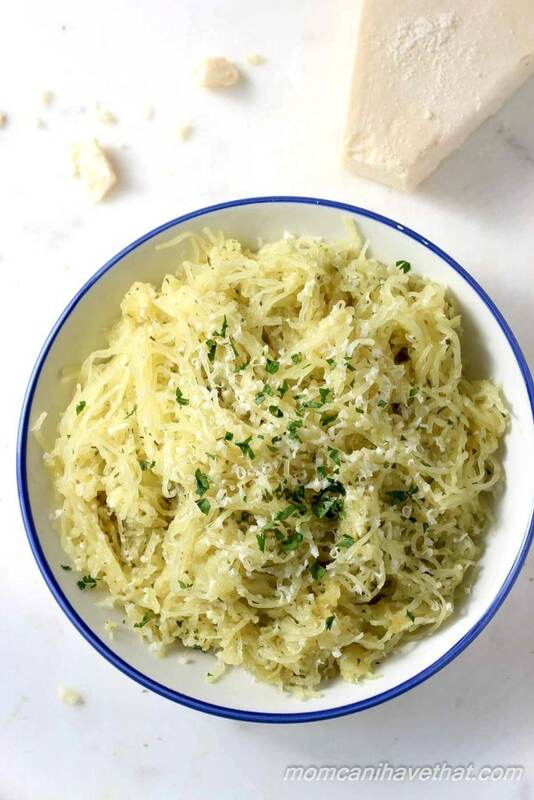 While it’s made fairly quickly, it does require that the cauliflower be grated (either by hand or in a food processor) to get that fine rice texture. BUT, it can be chopped on a cutting board and be a made chunky, too. It will taste the same, just look less like rice. I steam the broccoli cauliflower “rice” in the microwave to cook it quickly, drain, then add my flavor enhancers. 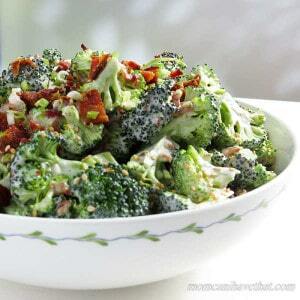 Do you want to know a great thing about this side dish? Not only is it easy to double, but my dad likes it. too! Here’s to Broccoli Cauliflower “Rice” and eating more veggie carbs! 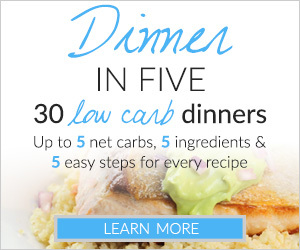 Each Serving of Broccoli Cauliflower Rice is 2 net carbs. 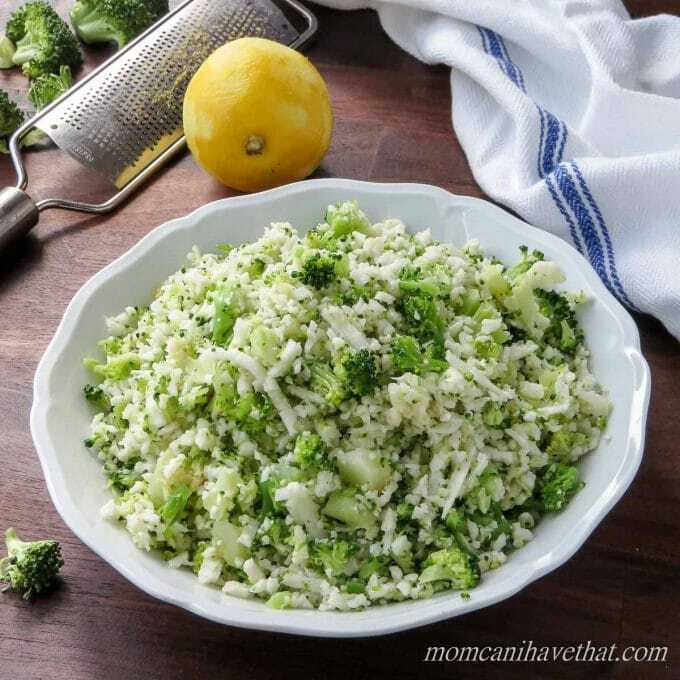 Broccoli Cauliflower "Rice" is an easy all veggie side that even my Dad likes. It cooks and is ready in a flash for those times you need a side in a hurry! Cut the core out of the cauliflower and either chop it into small pieces or grate it. I use a food processor to grate mine but it can be done by hand, too. Put the cauliflower in a medium microwavable bowl. Wash and chop the broccoli fairly small. Add this to the cauliflower in the bowl and mix thoroughly. Add 2-3 tablespoons of water and cover the bowl tightly with plastic wrap and microwave for two minutes on high. Your microwave may be higher or lower in power than mine, so you may need to adjust the time. CAREFULLY peel back a corner of the plastic wrap, enough so that the water can be poured out, but your vegetables wont go tumbling into the sink, and let the water drain out. I use an oven mitt to help hold the bowl so I don't burn myself. 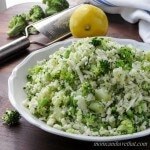 Once drained, remove the plastic wrap and stir the broccoli cauliflower "rice". Add the butter (ghee or oil) and other ingredients, giving it a good stir and tasting for seasoning. Alternate Method: Saute the garlic and onion in the butter until translucent. Add the broccoli cauliflower rice and stir to combine. Finish with the lemon zest, Parmesan cheese and salt and pepper to taste. I am new to “ricing” Cauliflower. I do not have a large food processor, but I do have a hand held ricer. Will that work for this recipe or would I be better off making small batches in my small food processor? Great recipe! What would you serve with it as a meal? I had the broccoli and cauliflower all ready, just needed some help with how to cook it. This is so easy, and delicious! Cooked it with a lil garlic and butter, and served in place of white rice with a keto friendly cuban piccadillo. I was lucky to have gotten any…my non keto nephew and veggie hating hubby ate almost all of it! Lol. Going to try this tomorrow Heaven sent for us diabetics. Love all the veggies, also going to add chicken pieces (Will cook them first). Also will make it with shrimp. 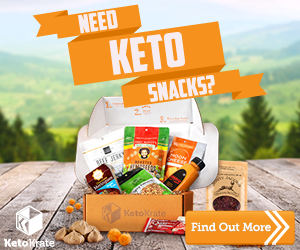 So I am recently diagnosed with Type 2 Diabetes and looking for veggie alternatives to higher carb starches. 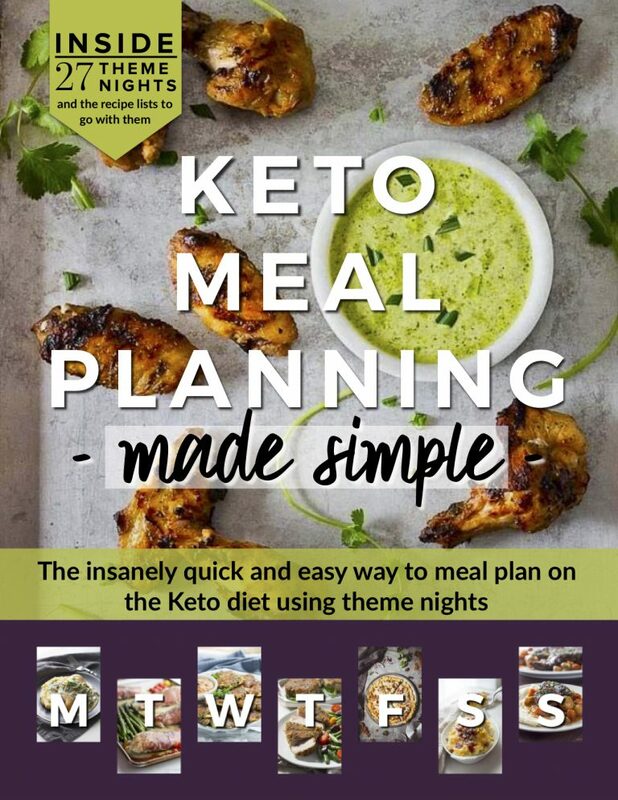 This is a great one and I love the idea of adding cooked chicken pieces. Cant wait to try it!! Loved the broccoli cauliflower rice dish! It was a new thing for me to do without actual rice. But I didn’t miss it and really loved the flavour of butter, Parmesan, garlic and lemon zest with the veggies. I served this with a middle eastern pressure cooked lamb shank dish and it was loved by all but my veggie hating son. What a great idea, love this.